With big, open sound without too much harshness, the SLSD-1 Li'l Screamin Demon Neck pickup is an impressive single-coil humbucker from legendary manufacturer, Seymour Duncan. This pickup comes in black. 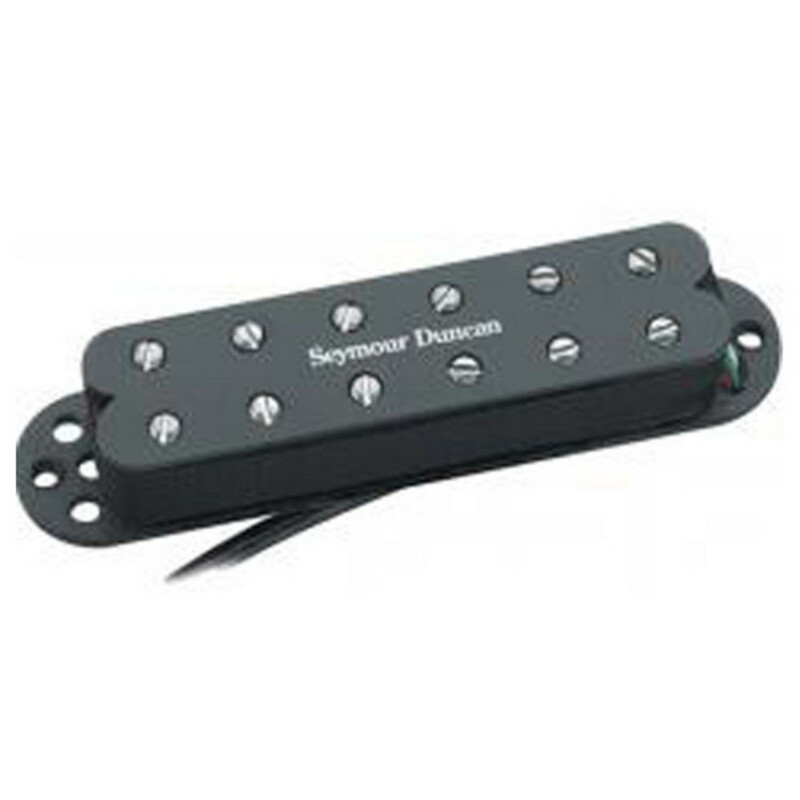 The SLSD-1, Black, is a moderate output single-coil-sized humbucker. It works great for classic rock, jazz-rock fusion, heavy rock and aggressive instrumental rock. Players of pickups in the SLSD-1 family include George Lynch (Lynch Mob), Brent Woods (Vince Neil Band), Paul Martin (Oak Ridge Boys), Kevin Hunter (Shania Twain), John Shanks (Rod Stewart & Melissa Etheridge Band). As the little brother to the Screamin' Demon humbucker, the SLSD-1 provides big, open sound. This pickup uses a unique slotted and Allen head screw combination which gives each coil a slightly different magnetic field. The result is a big and percussive tone without too much harshness, so you can clean up when you back off. Included is a four-conductor hookup cable. The SLSD-1 Li'l Screamin Demon is also available in a bridge version on Gear4Music. The pickup is designed for all well-balanced instruments and works equally well with maple and rosewood fingerboards.